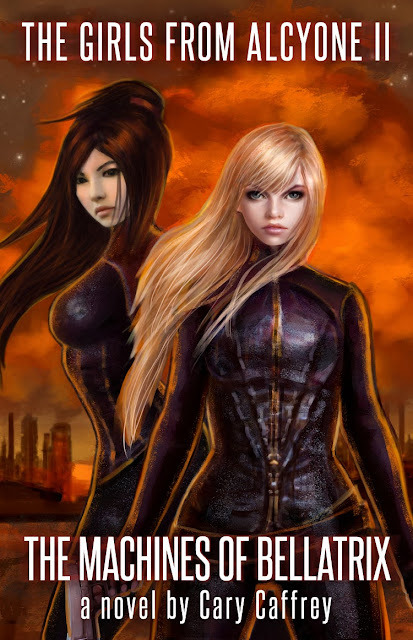 Machines (the sequel to The Girls from Alcyone) is now live on Amazon and available for purchase in the Kindle Store. A paperback and hardcover edition will follow in a few weeks. But with a price on her head the size of a planet, and pursued across the galaxy by the Council for Trade and Finance, Sigrid knows she and her sisters are far from safe. As long as there are those who would seek to control them, hunt them, dominate them, they will never be safe. Stop by and give cary's Facebook Page a like. It's the easiest way to stay in touch! Or, if you like give-aways and goodies, then his Newsletter's the best choice (please add 'Newsletter' to the subject field).